Starting the club back is one of the most critical parts to the swing. For starters, it's really the one area you control the most in the swing. You dictate when the club moves, the pace of the takeaway and the direction of the takeaway. The rest of the swing is somewhat reactionary to what you do in the takeaway. When you start the takeaway correctly it sets up the rest of the golf swing. I like to see the takeaway start to work inside the target line but up off the ground at the same time. 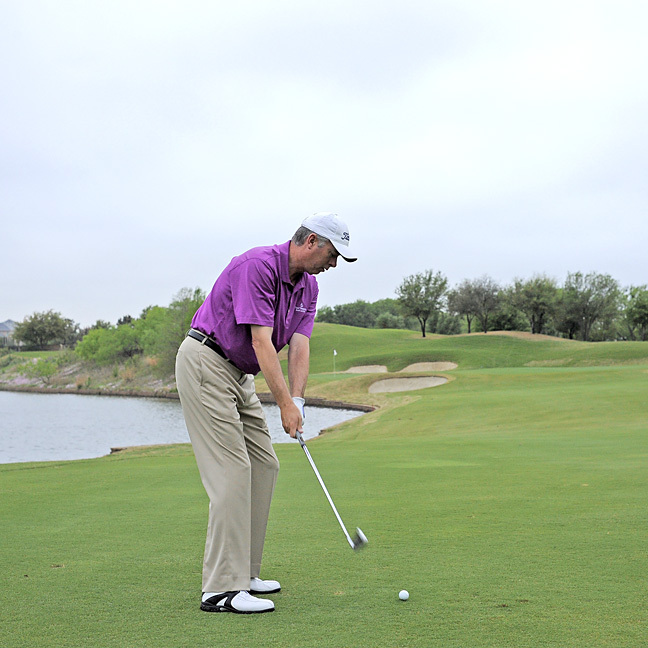 A blend of both motions allows the club to swing up the plane line. The club head should remain outside your hands until the club gets parallel to the ground and target line. This is the halfway point in the backswing. This motion is the same whether you're hitting a short iron, hybrid or driver. It's also the motion you'd like to have in your pitching and bunker play. Practicing your takeaway in the mirror will allow you to take a feel to the range or course so you're not over thinking the motion. A better takeaway leads to better shots, which leads to lower scores.